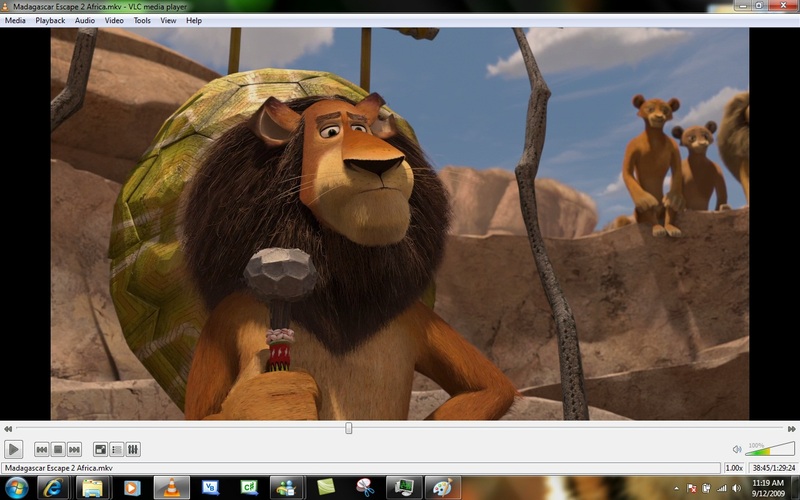 Real Player is a great media player that not only plays all media files, but it also provides many other vital features for your computer activity. With Real Player you can do many things, such as: to organize your media content, play everything, to transfer files between computer and mobile phone not forgetting that you get the CD burning tool. Now is much easier to download videos from the Internet, with Real Player you can do it only with one click using the "Download This Video" task, and also it allows videos adjustment using the "Trimmer" button. 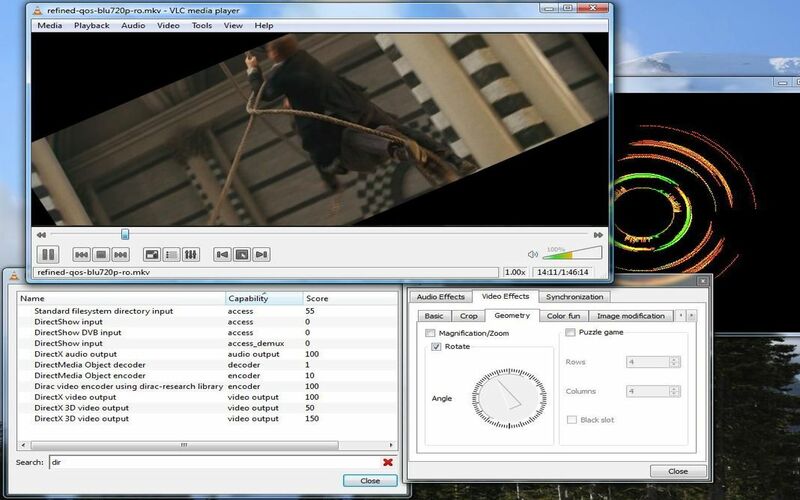 Having an easy to use interface, Real Player sustain almost all multimedia files. Data transfer is optimized, so that, you can exchange data between your computer and iPhones or smart phones and other portable devices. Real Player also offers: an sound and pictures equalizer, a library subdivision (which allows the multimedia files organization ), CD burning tool and as well, you can listen online radio. What's new in Real Player? It provides instant access to Facebook, so you can share photos or videos more quickly and it also tracks your friends Facebook videos. Also a novelty is Real Player's "Private mode" that offers video protection by password, so nobody can't see what you want to keep it to yourself. - other: Adobe Flash Player 9 or later, Google Chrome 2.0 or later, Microsoft Internet Explorer 6.05 or later, Mozilla Firefox 3.0 or later. 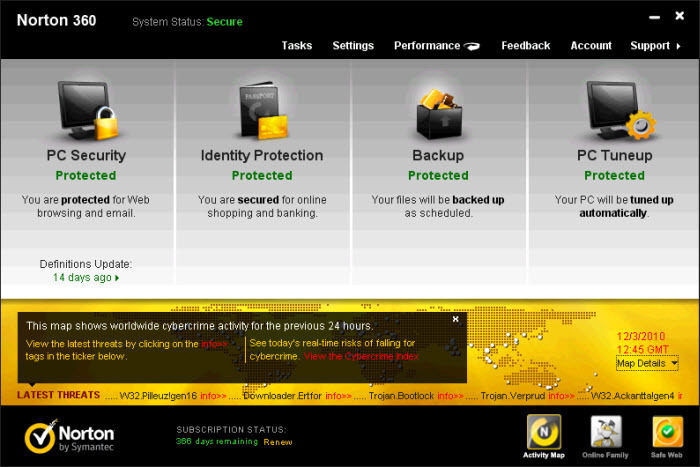 Norton 360 is a complete and efficient security suite, providing the protection that you have never hoped for. 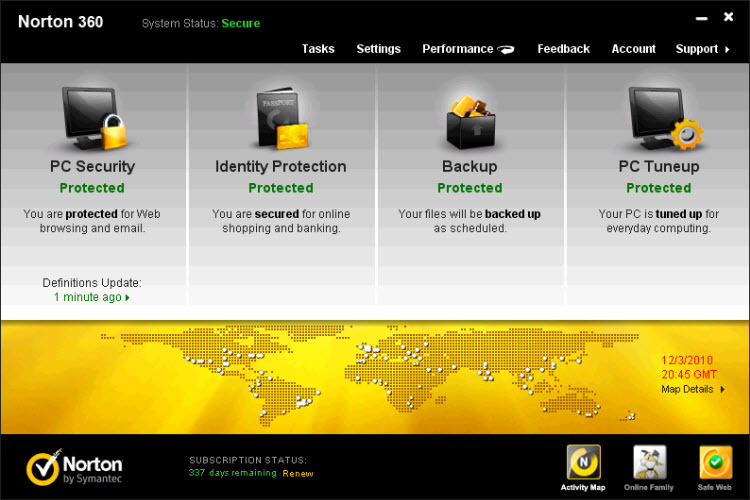 Norton 360provides a high level protection against malware that doesn’t slow down your computer, benefiting from a great backup tool and protection against identity theft. - it improves your computer's performance - with the ultimate protection, that not only does not slow down your PC, but also, with PC Tuneup feature, you can enjoy a faster computer start and and it helps you to get rid of processes that runs, although unnecessary. - stores your data with the backup tool that automatically creates a backup with your pictures, important files or data, and you can benefit from 2GB of Norton online memory, and you can also recover your data in case of PC collapse. 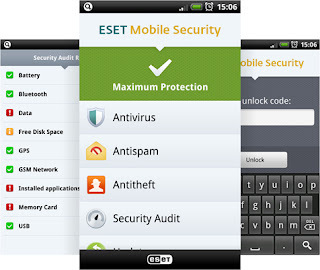 - it ensures a worry-free online activity - allowing you to browse, buy and bank online, preventing identity theft and the access to phishing and unreliable sites. 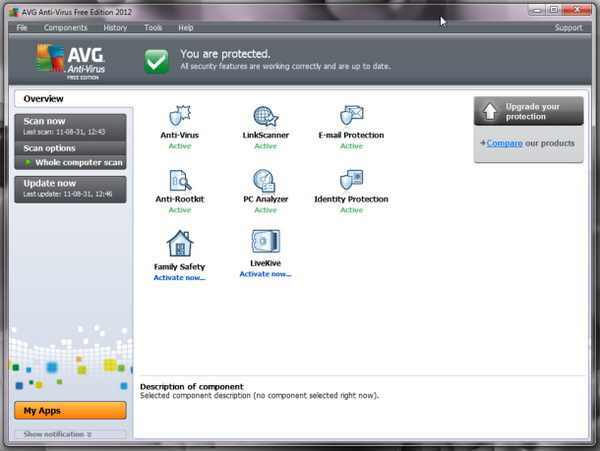 - malware protection - protection from viruses, worms, spyware, spam, phishing, hackers and any other other kind of threats, it also guards your downloads to prevent installation of unsuitabled applications. - Parental control - so you can supervise your kids activity, restricting their access to certain sites, allowing you to see what kind of web sites they visit and watches over their social network activity. It’s a trial software and is limited to 30 days of use, after this period you need to buy a license to use it any more. OS: Microsoft® Windows® XP (32-bit) with Service Pack 2 or later, Microsoft® Windows Vista® (32-bit and 64-bit), Microsoft® Windows® 7 (32-bit and 64-bit).